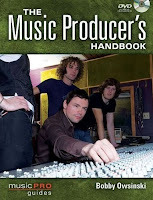 My new book, The Music Producer's Handbook, has just been released and should be available in stores and online now. The book is different from other production books in that it goes into great detail on one of the major duties of a producer - what to do when something just doesn't sound right. Of course, everything else that goes into being a producer is covered as well, from getting to be a producer in the first place, to managing budgets, getting the most out of musicians and vocalists, the different types of productions and how much money you can make. Like all of my books, interviews with top producers from different musical genres fill out Part 2, including Mark Bright (who had a #1 record with Reba McEntire at the time of the interview), Jack Douglas, Michael Beinhorn and more. Next week I'll post some excerpts from the book, but you can read a couple of them now at the Music Producer's Handbook page on my website. 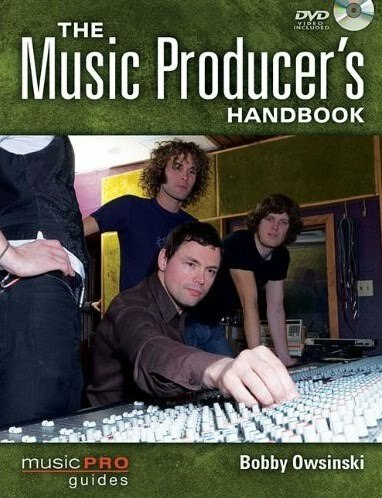 You can also purchase the Music Producer's Handbook from Amazon. Musicians are in bands so they can play in front of people, but getting gigs is probably one of the most difficult things to occur during the lifetime of a band. 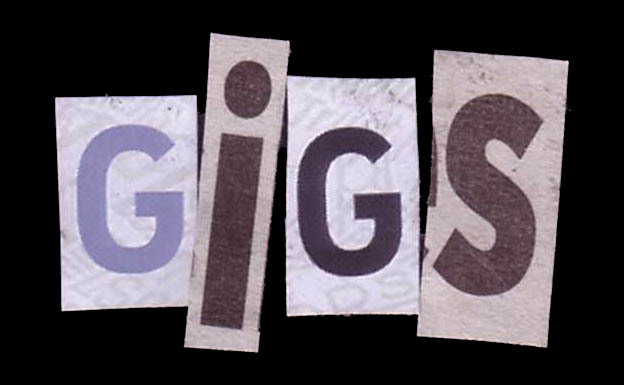 I came across the following article about getting gigs at your local venue in CD Baby's DIY Musician, and it really made sense. Here are the main points. Step 1. Get familiar with the venue’s calendar – There are many inside tips and secrets that can be gleaned just from consistently checking out a venues calendar. Most clubs are meticulous with their calendar (which are usually posted online). Start looking for specific clues. Do they have a standard number of bands on the bill every night? Is there a night where they tend to give new bands a shot? Step 2. Look for holes in the schedule – Once you pick up on a club’s booking patterns, you can start finding holes in their schedule where THEY are in need of a band. Step 3. Make sure your music is a match – Now that you have identified the shows where the venue is most likely looking for bands, narrow it down to the shows where you music is a true fit (time to be honest folks!). Remember, in order for this strategy to work, you must only pitch to the shows where you fit! Step 4. Target that specific show in you email pitch – Now you are prepared to approach the club booker in a way that HELPS THEM out! Just put the show name and date in the subject line of your email and politely let them know that you would be a good fit to round out that bill (Keep the email brief!). The chances of getting a response to your email, and better yet a gig, just went way up! 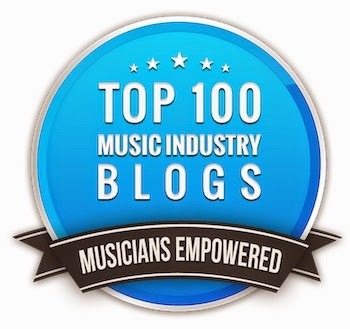 Go to the DIY Musician for the entire article entitled, A Booking Strategy That Works. When getting drum sounds while recording, many engineers are asked by drummers and producers to get that "big Led Zeppelin" drum sound. Often times they then go about getting it in the wrong way, miking every piece of kit in sight. But that's not the way that Zep got that sound. As was the norm in those days, there were usually only 2 mics (later 3 for stereo) used to mic the drums. But the famous drum sound that the band got at the Headley Grange house used only two mic in an odd position, as bassist John Paul Jones explains in this video. Led Zeppelin engineer Andy Johns confirms this as well in an interview for my Mixing Engineer's Handbook. According to Andy, "Listen to “When the Levee Breaks” (from Led Zeppelin IV) . That was me putting two (Beyer) M160s on the second floor with no other microphones at all because I wanted to get John Bonham the way he actually sounded. And it worked!" So don't be afraid to experiment and remember many times less can be more when it comes to mic technique. Staying with our Creedence Clearwater Revival theme, here are the isolated vocals and drums from their 60's hit "Up Around The Bend " from their Cosmos Factory album. First, here are some things to listen to in the vocal. 1) Wow, there's a lot of reverb on there, yet you never hear it when the vocal is mixed in the track because it's pretty much timed to the track. That means that the reverb decay dies by the beginning of the next snare drum hit on 2 or 4. There's also a pre-delay on the verb that you can hear on the handclaps. 2) Like most reverb from that time period, the low and high frequencies are rolled off so you hear a lot of mids. Doesn't sound that good by itself but works in the track. 3) The vocal is a little pitchy, especially at the ends of phrases. 4) The harmony vocals on the choruses are really good, but you can tell the parts that John Fogarty is singing with himself because the releases are exactly in time, while the others are not. 5) Listen to the handclaps in the 2nd verse. Never heard those before. 6) Listen how the guitars occupy some of the blank spaces of the vocal tracks where we heard them drop out on the previous guitar tracks. I suspect this was done on an 8 track machine so it didn't take much for them to run out of tracks. 1) You can tell that the miking was very minimal (it almost sounds like only one) but it certainly works in the track. 2) The fills are a bit rushed and uneven, but that's a problem that a lot of drummers have. 3) The time is very steady and drummer Doug Clifford is fairly disciplined in sticking with a pattern, though he does vary a little at times. 4) There seems to be an edit at the very end of the song. If it's not, it's a really uncomfortable fill. It seems like these isolated track posts are really popular so I'll keep on the running them every Monday and Tuesday (and the Wednesday) until I run out of them. Today we take a look at the isolated guitar and bass tracks from Creedence Clearwater Revival's 60's hit "Up Around The Bend" from their Cosmos Factory LP. First up are the guitars of brothers John and Tom Fogarty. John's electric rhythm guitar is on the left while Tom's acoustic is on the right with the lead guitar in the middle. Here are some things to listen for. 1) The two rhythm guitars fight a little during the first half of the song but eventually lock in around the 2nd chorus. 2) Listen to how the rhythm guitars disappear during Rickenbacker guitar solo starting at 1:43. As we'll hear tomorrow, it seems like the rhythm guitars were bounced to an open space of a vocal track to open up a track for the solo as were the fills during the next verse and the ending. 3) There are a few timing issues with the lead, especially at the end. Nothing big but certainly that we'd fix today with another take or a couple moves in the DAW. OK, let's listen to the Doug Clifford's bass guitar. 1) The bass track is a little shaky time-wise, especially in the beginning of the song, but you never notice it in the track. It's something that we'd fix today if we had the chance though. 2) The sound of the bass has an interesting distorted edge to it, thanks to the amp. Going direct wasn't something that happened all that much back then. 3) There's a missed note at about 1:56 and 2:31, something we'd never let go today.